Unite the greatest heroes from DC Comics! From the 2017 Justice League film, comes a stylized vinyl key chain of your favorite hero. 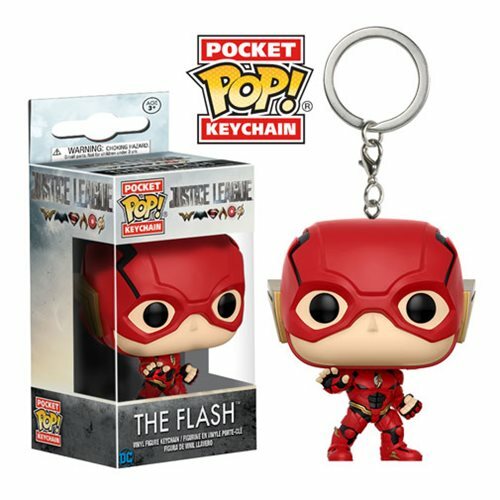 This Justice League The Flash Pocket Pop! Key Chain measures approximately 1 1/2-inches tall and comes packaged in a window display box. Ages 3 and up.